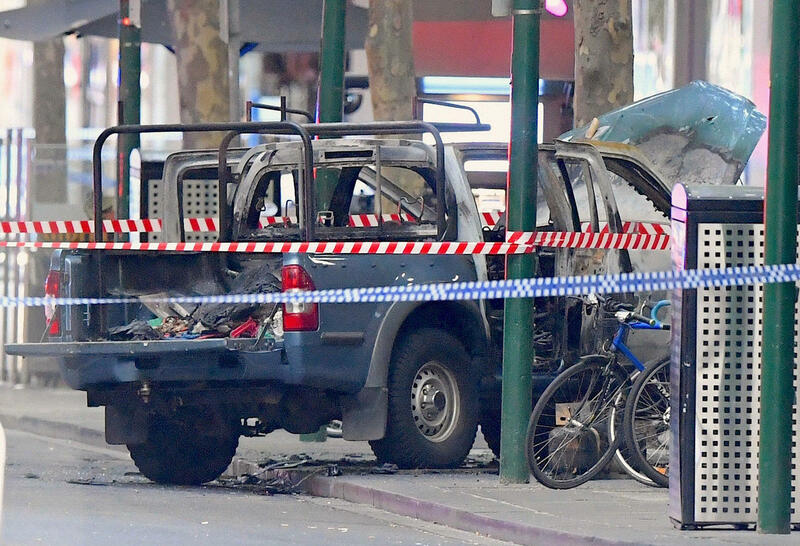 A burnt out vehicle is surrounded by police tape on Bourke Street in central Melbourne, Australia. A policeman stands near a body covered with a sheet near the Bourke Street mall in central Melbourne, Australia. In December 2014, two hostages were killed during a 17-hour siege by a lone-wolf gunman, inspired by Islamic State militants, in a cafe in Sydney.